．Larde diameter pipe machine: For size 10"~20" stainless steel pipes. ．Pipe forming / welding machine: Foe size 1/2" ~8" stainless steel pipes. ．Solid solytion annealing furance: To eliminate the stress influence of pipes. ．Eddy current: Tests if the soldering of the tube is stable or permeaated. 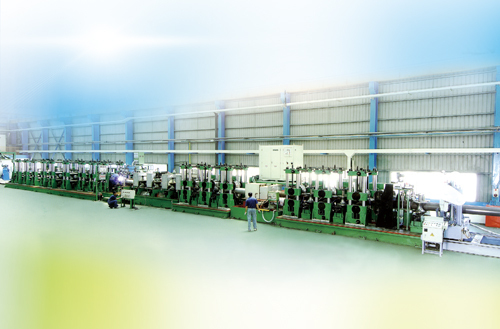 ．Tricathode high speed welding: To promote welding quality.